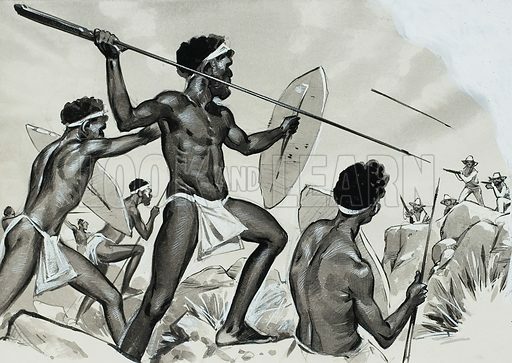 Aborigines under attack. Original artwork for illustration on p26 of Look and Learn issue no 427 (21 March 1970). Lent for scanning by The Gallery of Illustration. Available worldwide for immediate download up to 4,748 x 3,370 pixels.